For the first 17 years of my Christian life I grew in knowledge and leadership experience. I worked with university students full-time, graduated from seminary and started a church. My leadership gifts blossomed. The size and impact of the ministry expanded. The problem was that growing in love was not my number one aim. I focused on bigger, better and faster— like most of the leaders around me. I wasn’t asking myself: Am I meeker, patient, soft, safe, approachable, courageous, kind, and honest this year than I was last year? Am I less easily triggered under stress? Am I breaking my bad habits from my family of origin (e.g. stuffing resentments, lying when hurt, resolving conflicts poorly, not being attentive)? Are people close to me experiencing me as loving? A revolution took place in my life when I read Jonathan Edward’s sermons on 1 Corinthians 13:1-3. His exegesis and insights launched a Copernican revolution in my thinking. I find myself returning to them over and over again. It is possible to operate in the power of the Spirit and to set others free and not be a Christian at all. Consider Judas, Balaam, Saul and Matthew 7:21-23. Love is the infallible sign of the work of the Holy Spirit in the human heart. The Spirit moving through us to serve others is not the evidence of spiritual maturity. Only God’s agape love flowing through me demonstrates that. When I, and our church, live in this agape love, we experience heaven itself. “Heaven [is] a world of love; for God is the fountain of love, as the sun is the fountain of light.” And the world meets Jesus. 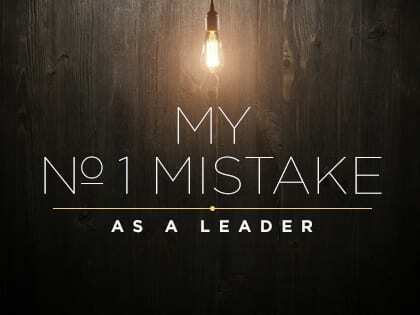 Let me invite you to make the number one aim of your leadership today to love others well. It begins by slowing down for loving union with Jesus that the “saving grace of God in your heart” might saturate your inner life— and thus every interaction, decision, or meeting you engage in as a leader. What might it look like for you to put love first as you lead today? P.S. I preached a sermon on this recently at New Life entitled: “The Greatest Miracle of All— Loving Well” from 1 Corinthians 13:1-3. Let me invite you to listen to it or watch it on YouTube. Pete Scazzero is the founder of New Life Fellowship Church in Queens, New York, and the author of two best-selling books: Emotionally Healthy Spirituality and The Emotionally Healthy Church. This story was originally posted on Scazzero’s blog at EmotionallyHealthy.org. 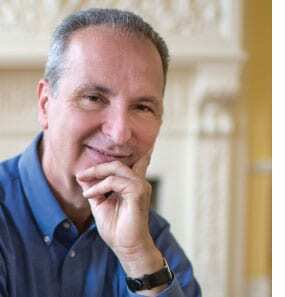 Pete Scazzero is the author of Emotionally Healthy Spirituality and The Emotionally Healthy Church, and the founding and senior pastor of New Life Fellowship Church in Queens, New York City, a multiracial, international church representing more than 65 countries.